Best wishes Sir! 72 years of music, style and of course ... glasses! 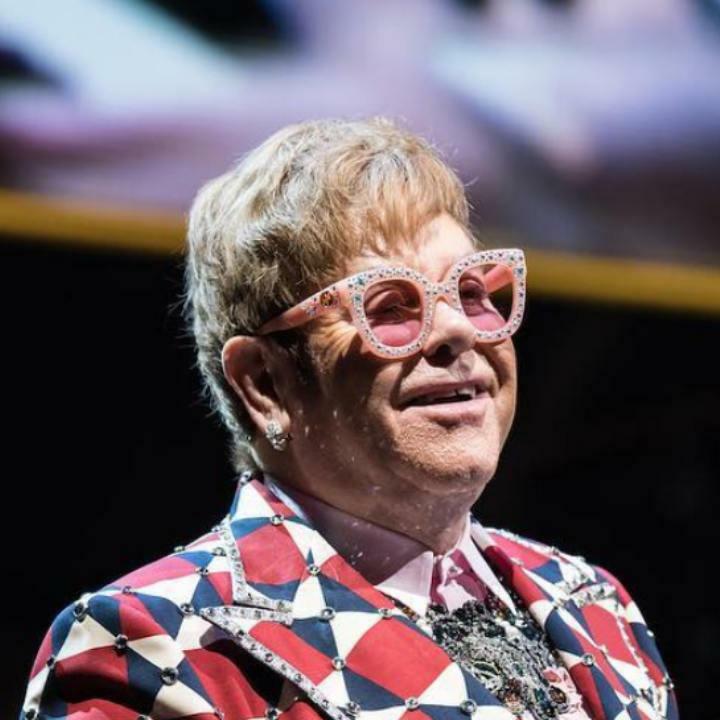 Sir Elton Hercules John, born Reginald Kenneth Dwight, turns 72 today: on January 25th, 2018 he announced the last tour of his career: started on September 8th, 2018, after 300 dates it will end in 2021. Singer-songwriter, composer and British musician, Elton John is one of the greatest contemporary rock artists: he has spread the rock piano all over the planet, even if he ranges from symphonic to glam rock, from pop to hard rock; he has sold over 400 million records and is part of the Rock and Roll Hall of Fame. He was also made Knight (Knight of Bachelor) by Queen Elizabeth II for the services rendered to music, to English culture and to charity. He founded the Elton John AIDS Foundation, one of the largest no-profit organizations in the world: it has collected over 150 million dollars to support programs to fight the disease in 55 countries around the world. He has written over 700 songs including: Your Song, Rocket Man, Candle in the Wind - a song originally written for Marilyn Monroe and later dedicated to Lady Diana in 1997 for the facts we all know, and it is currently the best selling single in history, with more than 40 million copies sold - Goodbye Yellow Brick Road, Crocodile Rock, Daniel, Tiny Dancer, Do not Let the Sun Go Down on Me, Do not Go Breaking My Heart, Sorry Seems To Be The Hardest Word and Sacrifice. For a review of his music we recommend, as always, a nice playlist on Spotifiy dedicated to him. 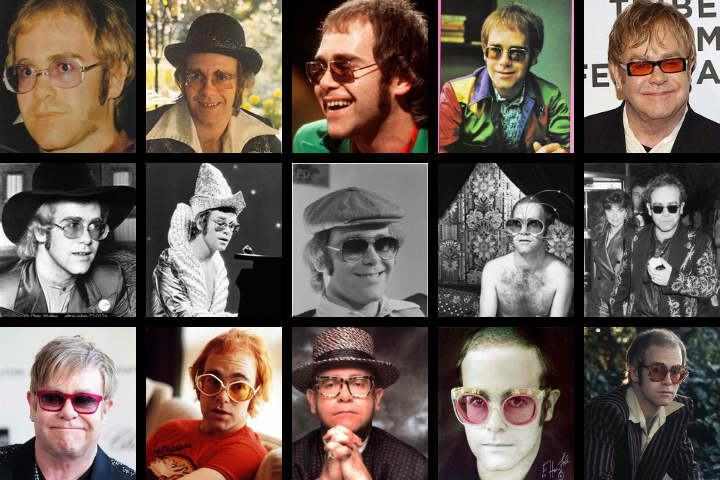 There are two things that made Elton John famous as well as his talent: his glasses and his piano. He seems to have collected an indefinable amount of glasses and that they are so dear to him that he usually books an entire suite of a hotel to accommodate them all. 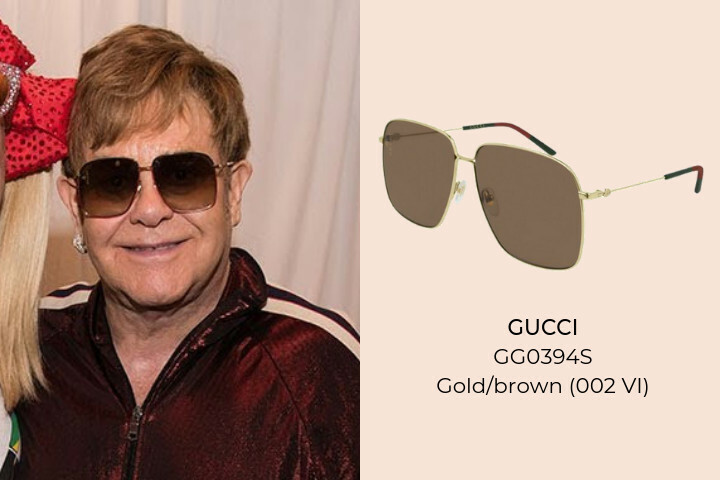 His last tour is branded Gucci which shows off his outfits, but above all his glasses, thanks to the rockstar. 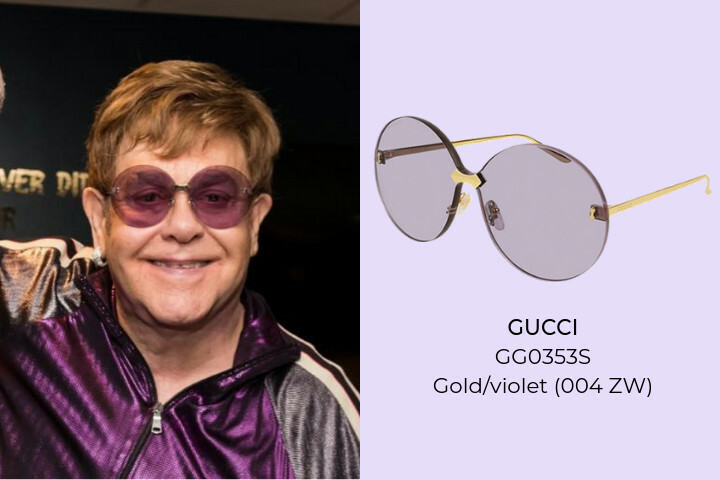 The original colors worn by Sir Elton are exclusively made for him but the models are available on Otticanet in other colors and different versions. Below is a selection of the many models worn on this long tour event. The distinctive mark of Elton John is the piano. Thanks to him this instrument is back to being the absolute protagonist of rock in an era when guitarists were the masters. His piano is such a precious object in the musical history of the whole world that John Lewis department stores, last Christmas, chose Sir Elton for their usual commercial - if you don’t know the John Lewis’s Christmas ad you have missed moments of extreme sweetness, but you can see them here, luckily there is Youtube. If you missed it in December, watch it now. The way you choose gifts will never be the same. On May 31st, Rocketman, the film about the life of the singer, will be released. The protagonist of the film is Taron Egerton, a young Welsh actor with undoubted singing qualities. Elton and Taron performed together during the annual charity event organized in honor of the Elton John AIDS Foundation, which is held concurrently with the Oscar evening. To give you a taste of what you can enjoy at the cinema, here's a video of their performance. 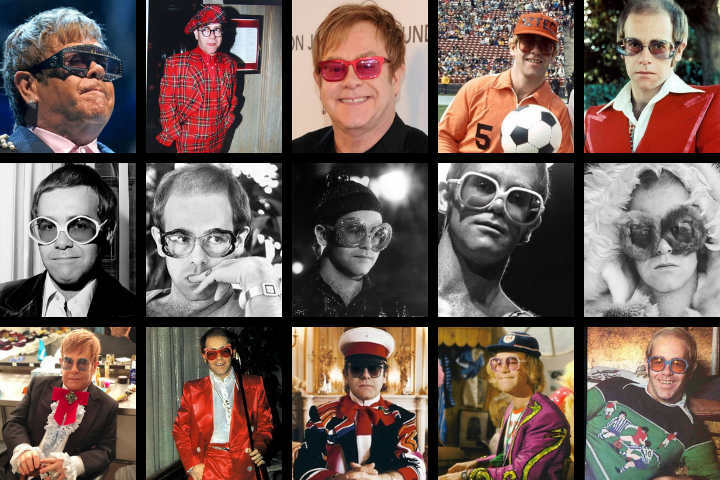 A life full of successes that of Elton John, but not only with happy moments. 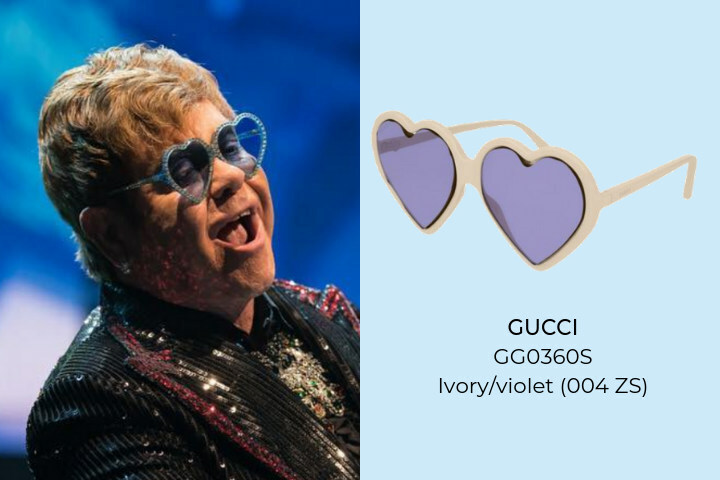 Bankruptcy and scandals about his sexuality have thrown him in crisis but Elton has returned on the stage. This is his happiest phase of life, as he himself said. We can’t help but thank him for the unforgettable moments he has given us. We wish him to live many years full of happiness! 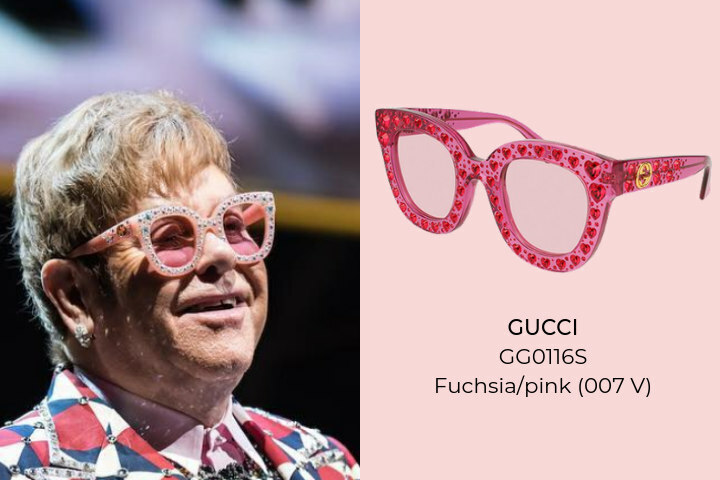 And if the glasses that we showed you before are not enough for you, here's another collage of inspiration: you can find many of the models he wore and very similar ones on Otticanet!